The Home Depot card breach was bigger than the one that hit Target last holiday shopping season: 56 million credit and debit cards for Home Depot compared to 40 million compromised in the Target hack. But Home Depot is not getting nailed by Wall Street in the way that Target was. 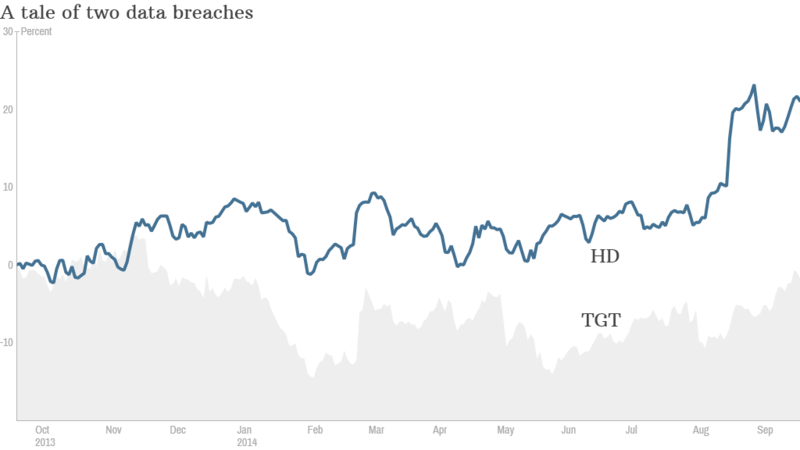 In fact, shares of Home Depot (HD) are trading near an all-time high. Target's profits fell in the first and second quarter. Same-store sales in the U.S. were flat. 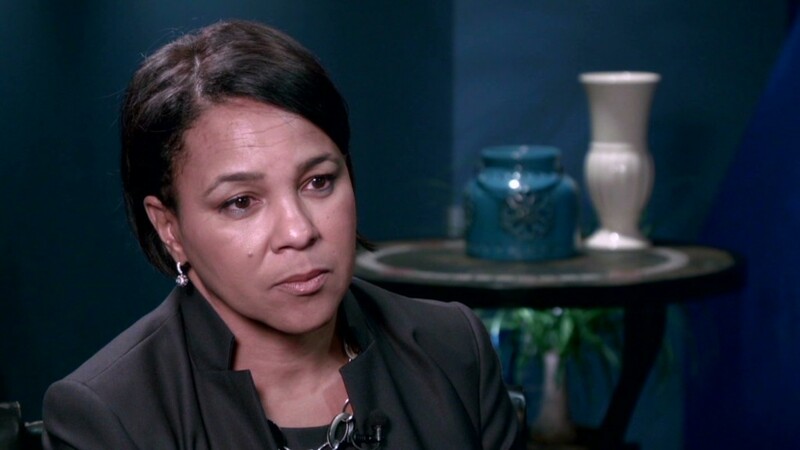 The retailer's chief information officer and CEO both lost their jobs following the breach. Why aren't Home Depot investors concerned? The Home Depot credit card hack put a tiny crack in the company's image. But it's holding up better than Target. The main reason is that Home Depot is a much healthier retailer than Target. Home Depot has been a beneficiary of the rebound in housing. This has also helped Home Depot's top rival. Shares of Lowe' (LOW)s are near an all-time high too. And these two companies dominate the home improvement retail industry. Consumers don't have as many other alternatives if they're looking for plywood, saws, cement and the like. But Target's credit card fiasco was just one of several problems facing the company. There are many options in the discount retail world. Kohl's (KSS) and Costco (COST)cater to the same bargain-hunting, middle-class consumer. And Target was dealing with particularly tough competition from Wal-Mart (WMT). It's telling that Target chose Brian Cornell, who was previously the head of Wal-Mart's Sam's Club warehouse division before he joined Pepsi (PEP), to be its new CEO. Target also had to deal with a nightmare up North -- the company's Canadian stores have been faring poorly since they opened last year. Target reported a nearly $1 billion loss in Canada in 2013. Of course, Home Depot could still stumble if it turns out that its own credit card problems are worse than thought and consumers stop shopping there as much. That doesn't seem to be happening. 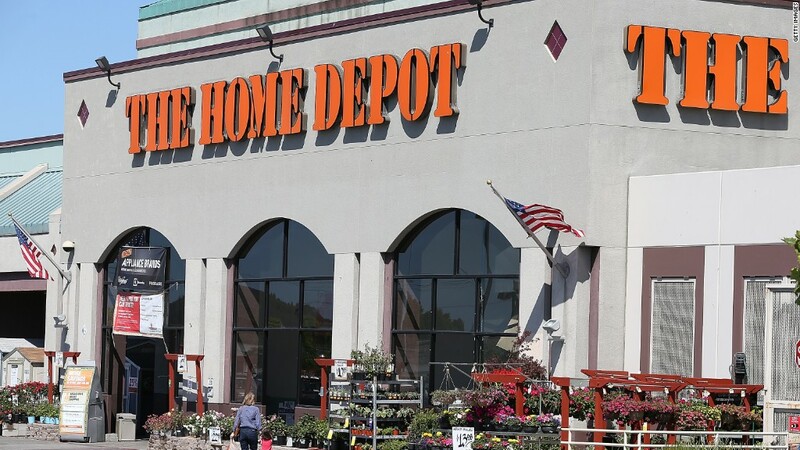 When Home Depot gave an update last week about the security breach, it said that sales for the third quarter are "on plan" and that costs related to the breach are minimal so far. The company's next earnings report is not until mid-November. 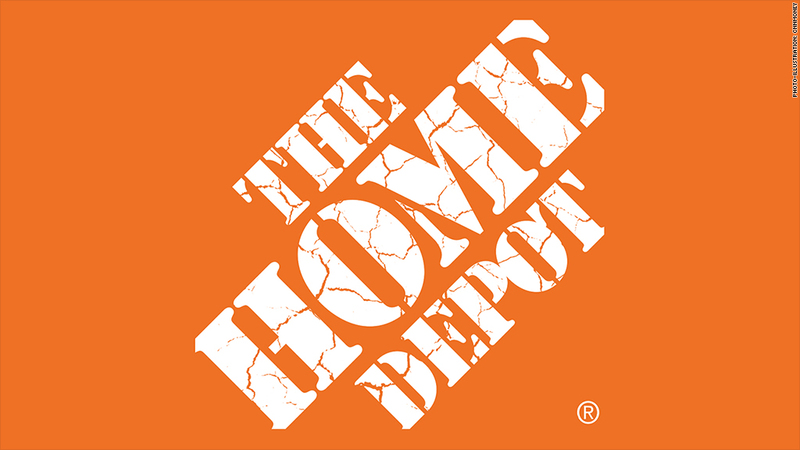 So Home Depot is unlikely to give any further update on sales trends or earnings until sometime towards the end of October at the earliest. But if Home Depot really has fixed the problem --- and the company said last week it has already rolled out enhanced encryption of payment data that was part of a project in the works since January -- then it makes sense that the company's reputation won't take that big of a dent. So for now at least, Home Depot investors don't have to be too worried that the stock is going to be the next Target.